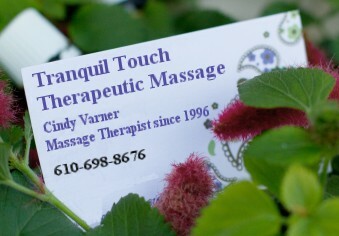 Tranquil Touch Therapeutic Massage is located in New Tripoli, PA. Cindy Varner, owner, is a Licensed Massage Therapist since 1996. 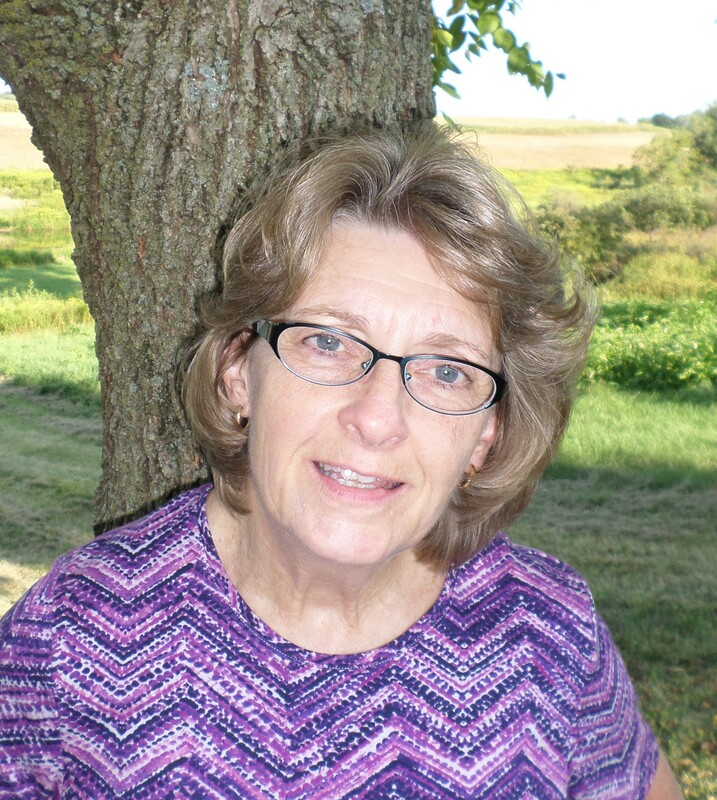 Cindy received her training from Southeastern School of Neuromuscular & Massage Therapy in Charlotte, NC. In addition to my massage training, I have also received additional training In Raindrop Technique, using Young Living Essential oils. This technique aids in ridding the body of toxins, thus creating a more healthy individual. Raindrop technique can also help with pain, illness, and also assists in dealing with emotional issues. As your body becomes more healthy from receiving Raindrop, your immunity is also enhanced. The essential oils are lovingly applied with care and expertise to assist the body on it's healing path. Energy work is another healing tool that I use to calm my clients when they are dealing with pain or emotional issues. One such form of energy work is Reiki. I am a Reiki Master, and am also trained in other forms of energy work. If desiring energy work, I will assist you in deciding which form of energy healing work would be best for your situation. Many clients choose to combine a session of Raindrop Technique along with energy work, which really enhances the body's own healing ability. The most requested form of massage. It promotes relaxation and helps reduce pain. It is wonderful to experience a full hour of this type of massage as it will generate a sense of well-being in the days after. A light to moderate pressure is applied, dependent upon the comfort level of the individual. Pain-specific work, used to ease trigger points of pain. It is also important to understand that pain in a specific area does not necessarily stem from that area, but more than likely is triggered by another muscle in another part of the body. The pressure used is usually intense, with the client guiding the therapist as to their tolerance level. Relief is usually experienced, but it is advisable to have several sessions for long-term relief. This is not a relaxation massage. A therapeutic technique using only the most therapeutic grade of oils in the world, today, Young Living Essential Oils. The treatment consists of using various oils that have an affect on viruses and bacteria that live along the spine, and oils that relax the muscles. Light massage is applied to the back to stimulate the nerves along the spine. Warm towels are then placed along the spine to drive the oils in so that they will be more effective. It is a highly regarded treatment by those who understand the healing aspects of therapeutic, pure essential oils. A definite sense of wellness results from this treatment. Raindrop Technique combined with Massage or Energy Work, involves 1 1/2 hours. An ancient Japanese form of energy healing, using a very light touch in laying the hands on the body. The client might experience a sensation of heat coming from the therapist’s hands, and also might experience sensations of heaviness or pulling in an area, along with tingling. It is always a pleasant experience and creates a sense of relaxation. This form of bodywork also aids in dealing with emotional issues, as well as physical. The client can remain fully clothed during this type of work, if they wish. Life Challenges that respond well to Physio-Spiritual Etheric Body Healing are; all chronic & degenerative disorders, stress & stress-related disorders, addictive disorders & behaviors, unhealthy emotional patterns & choices, congenital & physical debilitation, all injuries: skeletal & connective tissue. The procedure involves moving energy through your energy field, never touching the body, but only working in the energy layers outside of the body. The client remains clothed, lying on the massage table, face-up. You will experience tingling sensations, or heaviness in areas of the body. This work leaves you feeling totally relaxed and uplifted, feeling the effects for many weeks later. This form of bodywork can be life altering. An ancient process in which the ears are cleaned of excess wax and debris. Using only the finest ear candles on the market that are hand-rolled, made of cotton muslin, and dipped in bees wax and herbs that are beneficial to the respiratory system. These candles/cones are made in Sedona, Arizona. This process is excellent for blocked ears, sinus infections, and colds. It is a very soothing sensation, with most clients sleeping lightly during the session. This bodywork influences the flow of the spinal fluid through the craniosacral system. A light, hands-on touch is applied on the head and along the spine, working up and down. Client is fully clothed and remains face-up during the session. Wonderful for chronic headaches, stroke patients, head injuries, fevers. Special requests for combined services beyond an hour, will be customized accordingly, with appropriate fees. I accept cash, checks, or you can pay online through PayPal. Contact me below for more information.